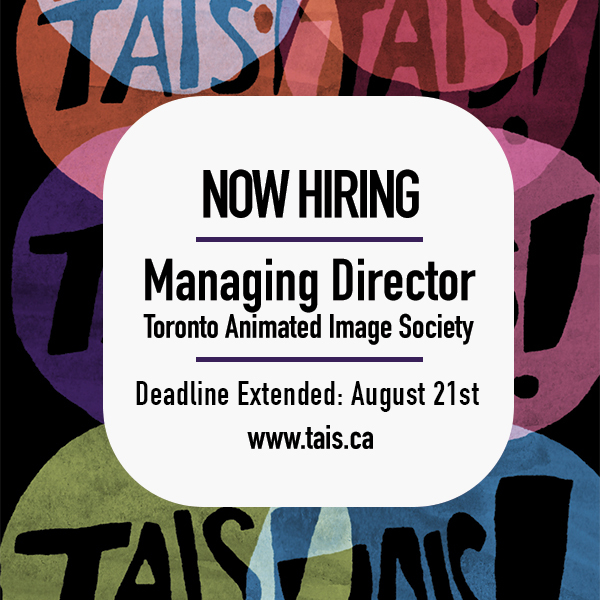 Full time (35 hrs per week) Managing Director at TAIS. This posting is for a 1-year maternity-leave replacement for TAIS Executive Director. The Managing Director (Maternity-leave replacement) is responsible for the successful direction, development and management of the organization according to the strategic goals set by the Board of Directors. This includes overseeing finances and operations, coordinating planned programming and establishing new partnerships, facilitating existing long and short-term objectives, and reporting to the Board. The Managing Director works co-operatively with TAIS Board of Directors to ensure the smooth running of the centre. The Managing Director reports directly to the Board President and consults with the HR Committee on all employee matters. The Board President and HR Committee maintain an overseeing role regarding staff responsibilities and conduct. Individuals employed at TAIS are expected to have some working knowledge of animation production, appreciate and believe in the artistic vision and creative process of animation, and endorse the concept of an artist-run-centre. Managing the daily activities of TAIS to ensure the smooth operation of the centre in cooperation with TAIS Committees and Board of Directors. Maintaining excellent communication and reporting to the Board of Directors, including attending board meetings, scheduling these meetings in consultation with the Board President, and writing/gathering reports from TAIS Committees for distribution to the Board. Answering phones and e-mail, checking mail, and serving as a public liaison during office hours. Supervising all staff, including Outreach Coordinator, Summer student or co-op/placement workers, and all volunteers. Recruiting and overseeing volunteers, and maintaining accurate and up-to-date membership records. Managing the coordination of all programming, including partnerships, workshops, participant registrations, and agreements with guest artists, curators, and instructors. Managing the delivery of all programming; some weekend and evening hours required. Overseeing all studio and equipment reservations, including assisting members and guests with access to TAIS facilities, services, and safe and responsible use of equipment, and orientation to safety and security policies and procedures. All grant writing and grant reporting for the organization, including all supporting documents, required financial materials, and necessary research. All financial management for the organization, including issuing of invoices and receipts, the collection of fees and efficient processing of payments, budgetary updates and monitoring, and the delivery of Quarterly Financial Reports to the Board in consultation with the Treasurer of the Board. Knowledge of production equipment and animation tools is an asset. Individuals employed at TAIS are expected to have some working knowledge of animation production, and appreciate and believe in the artistic vision and creative process of animation. We appreciate the interest of all applicants, however, only candidates selected for consideration will be contacted.